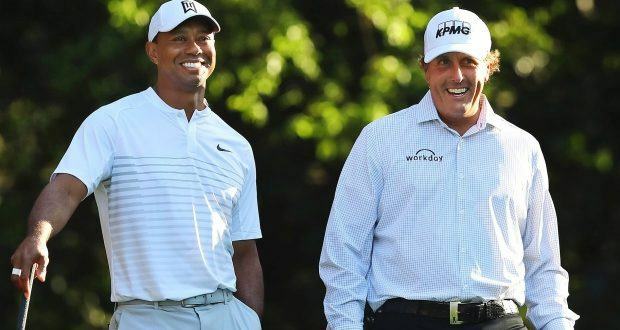 Home » News » PGA Tour » Tiger vs Phil rematch in 2019? Tiger vs Phil rematch in 2019? The Tiger vs. Phil match at Shadow Creek in Las Vegas generated quite the buzz online. There was more conversation amongst fans and players than any other tournament in 2018 aside from the Tour Championship when Tiger picked up his elusive win. However, as successful as The Match was its going to be difficult to roll out Tiger and Phil next year and expect the same response. As a golfer, I think giving a few bucks to tiger and Phil is the least we can for all that they have done for the game of golf and our families. Here are some potential ideas for next year’s Tiger vs Phil.